New Stories by Mariko Tamaki and Zoe Whittall; Plus, Queer Feminist Read Dating in Toronto! Robert’s accusers were oddly similar: the kind of girls you could imagine playing nice, outdoorsy types on TV sitcoms. The kind of girls who used crystals or baby deodorant, depending on their level of environmental commitment. The kind of girls who played at least one sport, though not terribly well, or jogged, though not religiously. They were all kind of skinny, all dark blonde as opposed to platinum or dirty blonde. They had a kind of apologetic air to them, like they wouldn’t interrupt you in a conversation. They approached us, our group, in the dimly lit alley, hesitatingly, delivering their news like a dinner they had made but not with any huge amount of effort. Kraft Dinner, re-heated Spaghetti. sexuality, as it clashes with what a ‘woman’ is supposed to be like. In an interview with Maisonneuve, Whittall says she imagined El as “naturally very dominant” but lacking “the language or context for why that is.” El is a reminder of the complex difficulties of navigating gender and sexual identities in queer and hetero contexts—in a way, actually, things would be easier for El if she were queer, since our communities have a better understanding–those contexts and that language–that to be femme doesn’t mean you can’t also be a top. Now that you’ve read these two stories, don’t you want to chat with someone about them? Maybe some other queers who like reading? The Toronto Women’s Bookstore is hosting a mind-blowingly awesome event next week where you can do just that: Queer Feminist Read Dating. 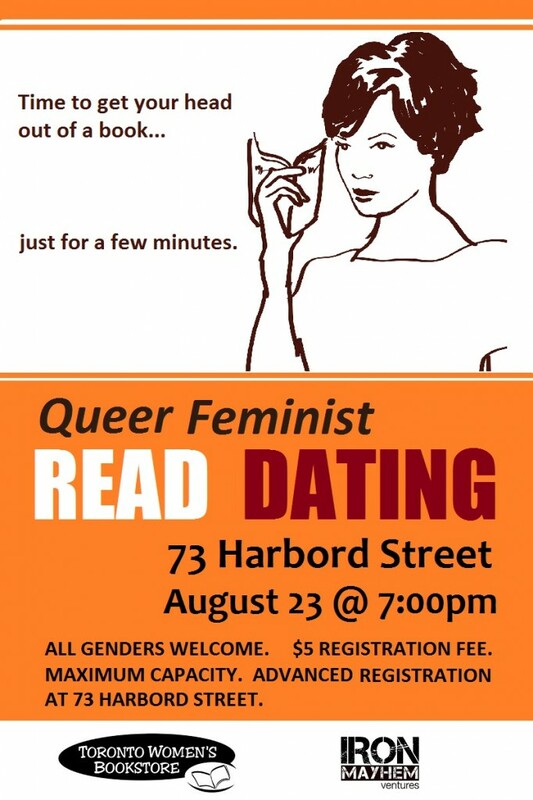 That’s right, it’s speed dating for queer feminists—all genders welcome—who like reading. While I’m pretty happy to be by the west coast ocean breeze for the summer, I am wishing I could teleport myself to the sweltering humid heat of Toronto, just for the night of August 23rd, 7-9pm. Can you think of a better place to meet new partners, lovers, and friends? Registration is only five dollars, and you’ll be supporting Canada’s oldest feminist bookstore at the same time! 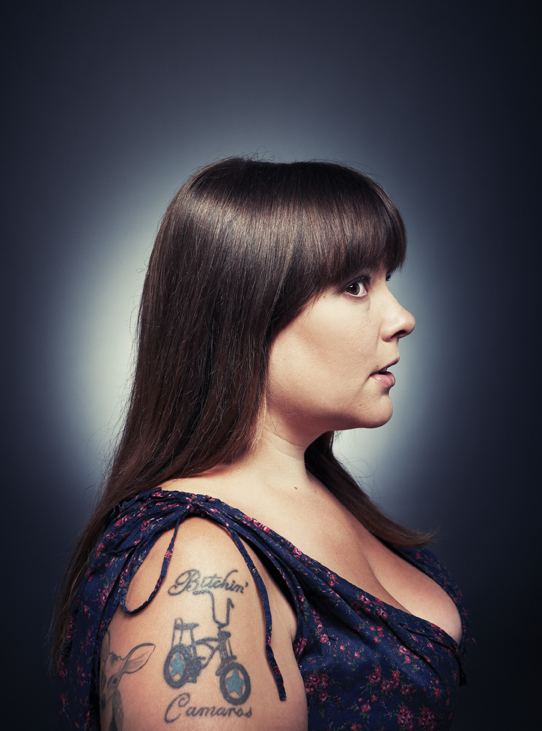 This entry was posted in Asian, Bisexual, Canadian, Fiction, Lesbian, Mariko Tamaki, News, Queer, Short Stories, Toronto, Zoe Whittall and tagged books, femininity, Feminist, femme, joyland, literature, maisonneuve, toronto women's bookstore. Bookmark the permalink. 1 Response to New Stories by Mariko Tamaki and Zoe Whittall; Plus, Queer Feminist Read Dating in Toronto!